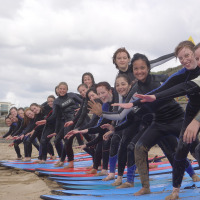 FOR SURFING, KAYAKING, LIFEGUARDING, SNORKELING, MOUNTAIN BIKE RIDING, HORSE RIDING, TEAM BUILDING & ENVIRONMENTAL ACTIVITIES click HERE or the 'SPECIALISED ACTIVITIES' tab on the left sub column of this page! Perfect for all groups, including senior schools!!! Safe (confined area) with two targets. Easy to conduct- assistance available. Quick improvement by students after correct instruction. Introduce FUN challenges such as individual & small group competitions e.g. popping balloons. Professionally built by Outdoor Initiatives. Safety briefing & instructions provided. Helps develop confidence, cooperation, self esteem & team work. Good for motor skill refinement. Ropes Course Plan on display at camp. Wedge Tailed Eagle's Nest (Eyrie) located on the property - fascinating & huge. Easy to follow self-guided walk with environmental points of interest along the way. Laminated Teachers / Leaders notes provided. Designed to fit in as a rotational activity or a single group activity. Perfect upon arrival! Sketch, write, discuss & observe. A wonderful teaching opportunity. Keep an eye out for the Eagle during your stay. Easy to lead - Coastal Forest Lodge staff will brief your teachers. Variety of courses for different year levels - all set up & ready to go. Master sheets provided in Teacher Kit (pre camp). Students can work individually or in pairs. Develops observational & map reading skills. Enjoy the properties natural beauty for bushwalks including the Boundary Rider, Eagle's Nest & East-West Treks. Plus an amazing NIGHT WALK! Across the road from Coastal Forest Lodge is the National Heritage Heathland area & the Forest Road Flora Reserve. Anglesea Bushwalk - enjoy the hike from the Coastal Forest Lodge to Coogooarah Park in Anglesea (6km). Have a picnic lunch (CFL supplied) & then stroll along the riverbank to the main beach for fun & games. 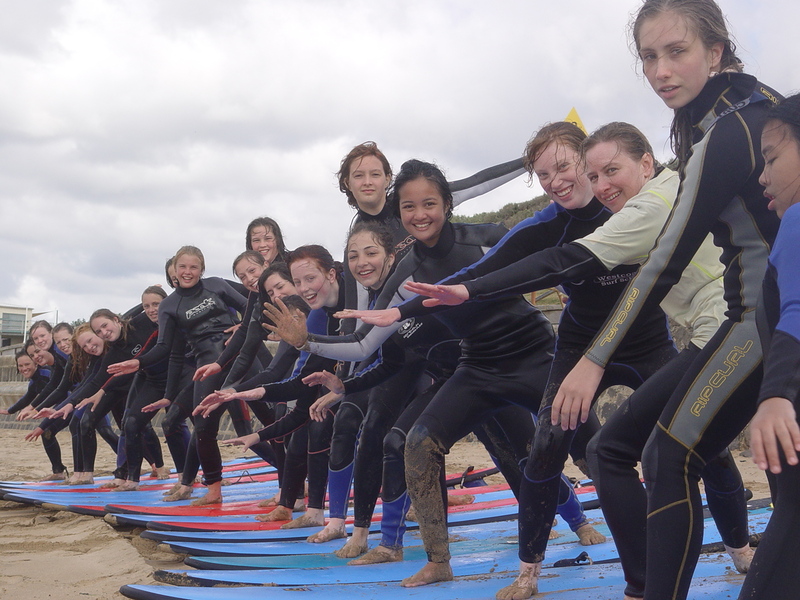 Also available surfing with Go Ride a Wave, environmental activities with Eco Logic & mountain bike riding with GORATS. 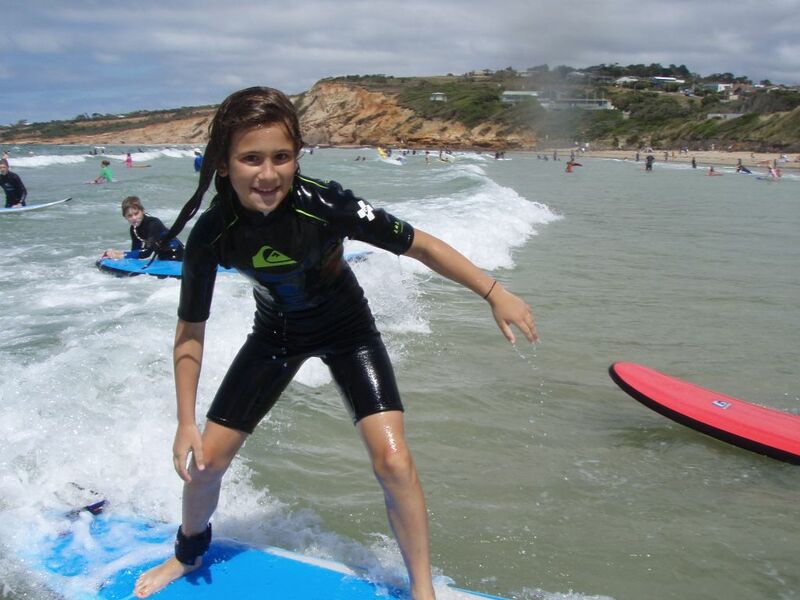 Coastal Forest Lodge provides a guide to lead the Anglesea Bushwalk & a free bus trip back to camp at end of day! (Only for catered school group bookings). Educational: learn to care for farm animals & the enviroment! Friendly ponies, sheep, cattle & beautiful alpacas. Feed, brush & pat our friendly farm animals plus play on the safe ROUND HAY BALES! A big winner!!! Safe, fun & very reawarding for those who have had little interaction with farm animals. Challenging, small group problem solving activities -Spiders web, Magic Hoop, All Aboard & Pole Shuffle. Briefing & laminated teachers notes provided. Develops confidence, cooperation, teamwork & thinking skills. Nutty creatures, Rock Monsters, Mobiles, Collages, Leaf bookmarks, Drawings and sketches, Aboriginal dot paintings & Kites - plenty of space to fly. Schools must provide art materials required. Fire preperation, safety, food preparation & cooking. Bush Cooking: make yummy damper twists with butter & jam! Helps develop fire & safety awareness, environmental awareness & cooperative skills. A popular & enjoyable activity (available as per Fire Season Declaration & weather conditions). PAR 20 - 9 hole course - undercover. Use as a single rotational activity or with archery. Also available as an extra after dinner activity (must be supervised). Award a certificate to the Coastal Forest Lodge Mini Golf Champ! Construction of shelters using natural materials. Helps develop teamwork & cooperation. Promotes awareness of the natural environment - no damage/ destruction policy- use only fallen timber or leaves etc. Current issues- discuss the diversity of how a variety of people live & survive around the world. Set the water test and see who has built the most waterproof shelter. Has been revised & extended. Reflect & share camp experiences with family & friends. Perfect evening activity (complete on the first night & CFL will send the postcards, to hopefully arrive home before the students do).